If It's Hip, It's Here (Archives): World's Most Expensive Dog Collars For The Haute Hound. From 150k to $3.2 Million. 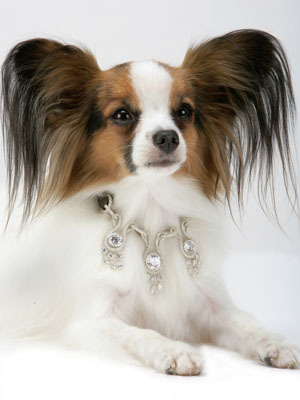 World's Most Expensive Dog Collars For The Haute Hound. From 150k to $3.2 Million. If your idea of spoiling your dog consists of allowing him/her on the furniture or feeding him canned dog food, you probably shouldn't continue reading this post or you may very well get sick as a ...well, you know. However, if your dog sleeps in a Gucci dogbed or has a Danny (dog nanny), takes Doga (doggie yoga) or eats only free range chicken and sirloin, you may not be shocked that the people who can afford to, may spend upwards of millions of dollars to adorn their pooch with real diamonds, sapphires and bejeweled gold collars. 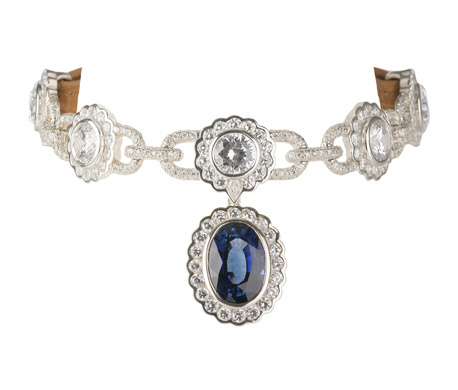 La Collection de Bijoux is a stunning line of diamond dog collars that showcases over 100 carats of sparkling diamonds and exquisite jewels. 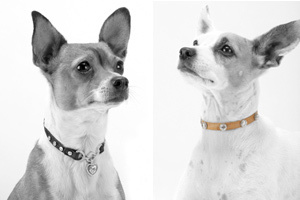 These breathtaking, limited-edition collars are in a class of their own, and are most certainly the first of their kind. 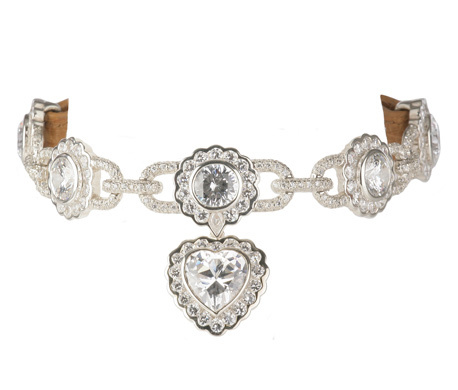 Dubbed "the Bugatti of dog collars" by Forbes Senior Editor Matt Miller, this 52-carat diamond dog collar is truly the "World’s Most Expensive." The love between people and their dogs is deeper than any ocean. With a sapphire pendant as blue and sparkling as the sea, Amour de la Mer ("love of the sea") symbolizes the depth of this bond. 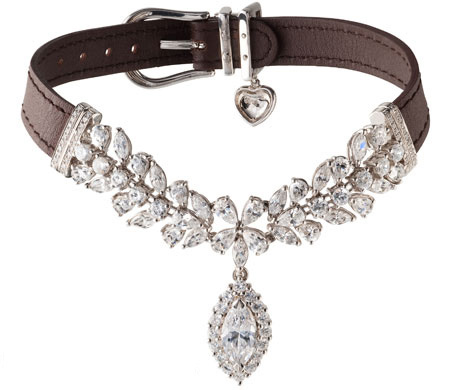 The sparkling 2.7-carat, heart-shaped diamond that is this collar's centerpiece will leave no doubt in your dog's mind that she's your "chéri." 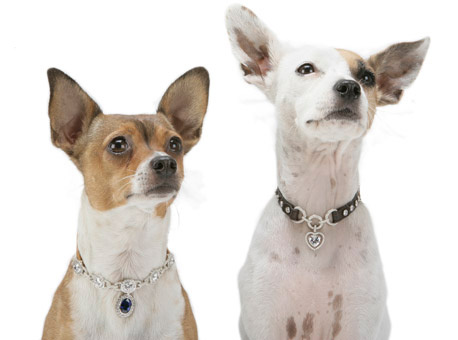 Accompanying the heart pendant are five brilliant-shaped diamonds of over 1 carat each, along with 630 hand-set diamonds--a total of over 25 carats of precious stones for your precious pup. Is your dog a star? If he’s not already, this rugged yet elegant collar will surely make him one. 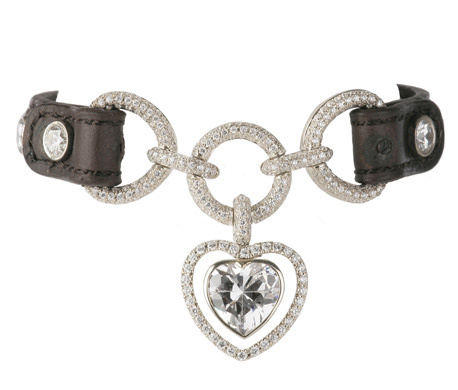 For your puppy--or puppy at heart--this 15-carat diamond collar was inspired by the energy and sweet warmth of young dogs. Oh, and you'd best be sure that canine of yours is well-trained if you're gonna spoil him with one of these, because if he runs away from home wearing a half million dollar collar, you'll probably be barking mad. 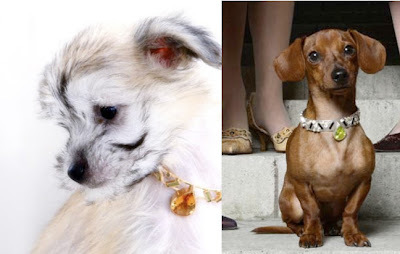 descriptions, images, carat weights, details and pricing courtesy of ilovedogs, inc.
i Love Dogs, Inc. is dedicated to providing your dog with the best of the best. 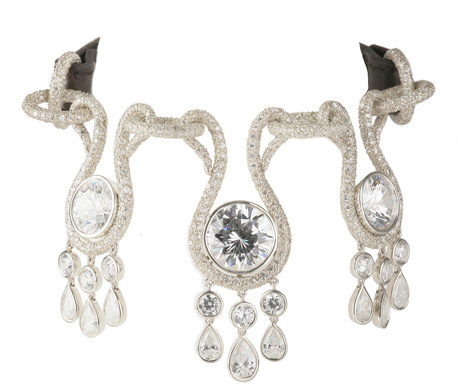 Our collection of exquisite diamond collars -- La Collection de Bijoux -- was designed and crafted by our affiliate master jewelers, located on 5th Avenue in New York City. 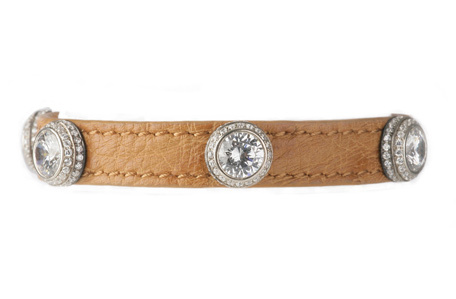 While our jewelers have crafted each piece with fine detail, you can tailor the design, stones and leather to fully reflect your style and your dog's personality. We welcome your creativity, so please contact us to discuss personally styling a collar. 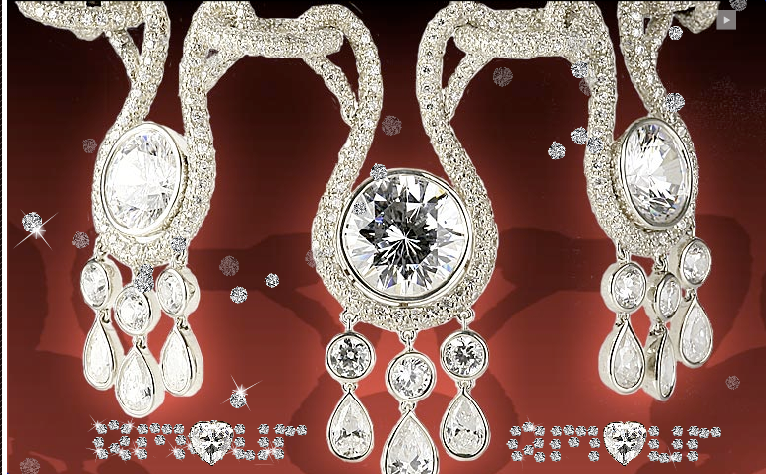 i Love Dogs, Inc. does not only celebrate the love we have for our dogs with these fine diamond pieces -- we also care about the health of your dog. Our veterinarian-formulated line of premium vitamins and supplements will help ensure your dog shares your love for many years to come. Awhile back I featured another company, Jari Limited, who makes high end gemstone collars and jewelry for dogs and cats. They will even make matching sets for you and your pet. Check out the Jari collars here.